At Moen Brothers Plumbing & Drain, we know you are looking for a company you can trust to properly diagnose and fix your plumbing repair or clogged drain cleaning issue at a reasonable price. Our technicians are not paid commission, so you can trust us to recommend only what is needed at a reasonable price. We will arrive on time, meet your budget, clean up before we leave, and warranty our work. 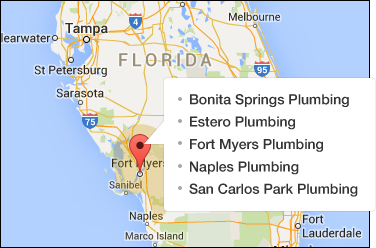 We offer 24 hour emergency plumber services to meet your needs when you need us most. Moen Brothers Plumbing & Drain offers upfront pricing and 100% no obligation, free estimates on all of our plumbing repair and clogged drain cleaning services. Moen Brothers Plumbing & Drain is a state licensed and insured plumbing contractor in Fort Myers or Naples, FL for all your residential or commercial remodeling projects.